Search jobs for "Pharmacy Technician"
Pharmacy technicians help licensed pharmacists dispense prescription medication. Becoming a pharmacy technician usually requires earning a high school diploma. Some states also require completing a formal training program and passing an exam. The median annual wage of pharmacy technicians was $28,400 in May 2010. Employment of pharmacy technicians is expected to increase by 32 percent from 2010 to 2020, much faster than the average for all occupations. Pharmacy technicians held about 334,400 jobs in 2010. They worked primarily in pharmacies, including those found in grocery and drug stores, and in hospitals. Pharmacy technicians spend most of the workday on their feet. 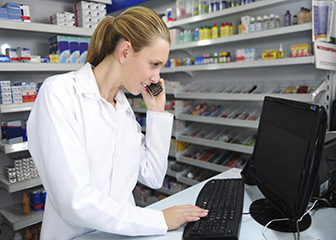 More than half of pharmacy technicians were employed in pharmacies and drug stores in 2010. Customer service skills. 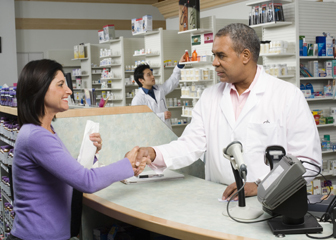 Pharmacy technicians spend much of their time interacting with customers, so being helpful and polite are required of pharmacy technicians in a retail setting. Detail oriented. 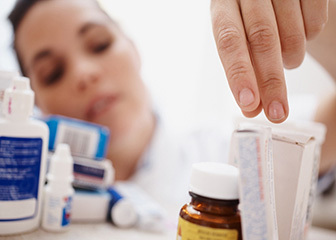 Serious health problems can result from mistakes in filling prescriptions. Although the pharmacist is responsible for ensuring the safety of all medications dispensed, pharmacy technicians should be detail oriented so complications are avoided. Organizational skills. 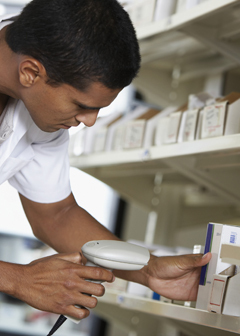 Working as a pharmacy technician involves balancing a variety of responsibilities. Pharmacy technicians need good organizational skills to complete the work delegated by pharmacists while satisfying customers or patients. The median annual wage of pharmacy technicians was $28,400 in May 2010. The median wage is the wage at which half the workers in an occupation earned more than that amount and half earned less. The lowest 10 percent earned less than $19,840, and the top 10 percent earned more than $40,710. Job prospects should be excellent for pharmacy technicians, particularly those with formal training and those with experience in retail settings.